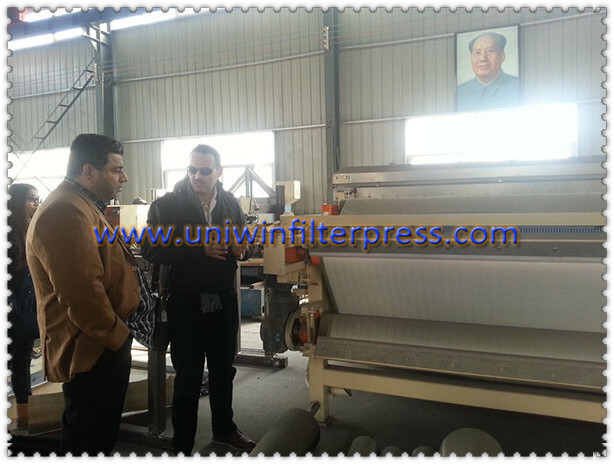 The Dubai customer Mr.Sami visited us for the technical discussion of the plate and frame filter press for gold processing.They are famous gold minted bar manufacturers in Dubai ,and they are using our filter press to filter the gold wastewater . The wastewater after filtered by the filter press is very clear and can be disposed without pollution. They ordered 4 sets jack filter press ,which are movable and easy operation.and one 200 m2 automatic hydraulic filter press.